I’ve heard Hillary Clinton, Bernie Sanders, Trump and others called very hateful names. Political hate speech is rampant. Even a recent newspaper column I read ran hate for Donald Trump. It was cloaked in innuendo and crafted language, but extreme personal dislike for Trump was clear. Extreme personal dislike is hate, according to the dictionary. And the term extreme is subjective. So, making issues personal is always a wicked slippery slope. There’s really no middle ground; we love or we hate. Loving is hard. Hating is easy. Political correctness is mistakenly teaching us to hate bad people who deserve it. So, we get hooked hating haters. By word, deed, thought or feeling, hate is always self-hatred that’s being projected out by frightened, guilt-ridden losers as hide in the dark in every heart. Unhappily, expressing guilt by hating makes us more miserable, not less. Practically, hate is a bad habit. When we hate, or get angry, even a little, issues get confused. We project private resentments, cherry-pick facts to make our case, get defensive, lie – even to ourselves, lose the creative intelligence we need to solve hard problems, guilt soars, and hate is contagious. It makes us stupid; we then make war and misery where we might have made peace. Why do we accept such damage and misery so willingly? 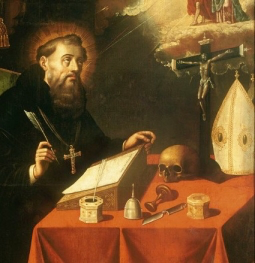 In 400 AD, St. Augustine, bishop of Hippo (old Algeria), explained in The City of God, that humans are all born with the tragic flaw, libido dominandi, the lust to rule. We all want to be God in our own special world. Scholars have reported forever on this vast selfishness. In 1600 AD, Milton, in Paradise Lost, said, Men would rather rule in Hell than serve in Heaven. Unbearably painful guilt from our selfishness drives us to blame (hate) certain others, to deposit our guilt into their accounts, so to speak. We try to regain our lost innocence by stealing theirs. They’re doing likewise; it’s a mad process; it doesn’t work. To heal, we need only ask Jesus, or our higher power, our wise inner teacher, or any gentle spirit we like, if our thinking, feelings, words or actions are hurting or helping. That’s it. We needn’t answer the question. Merely asking it, sincerely, gently, and frequently, quiets the ego and we heal. Hate gradually passes. Greater wisdom and intelligence replace it. We find peace of mind and make the world a better place.